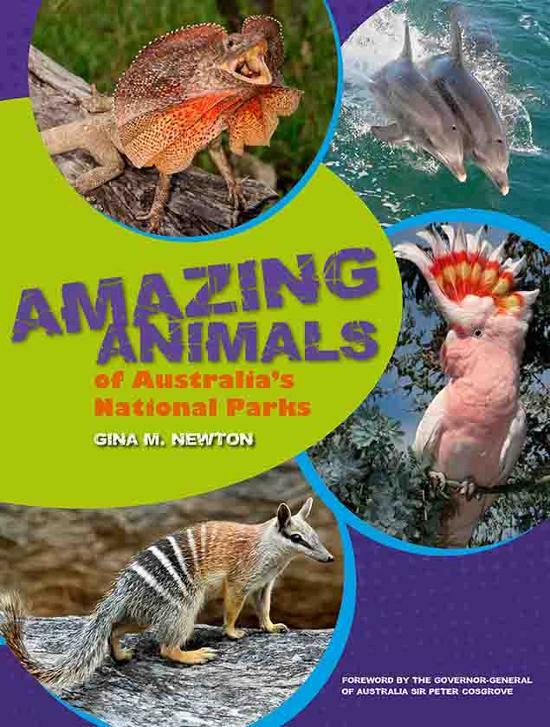 Gina is very excited to announce that she recently began a new book with the National Library of Australia, with a working title of Amazing Animals: Going, Going, Gone? Saving Australia’s Endangered Wildlife. 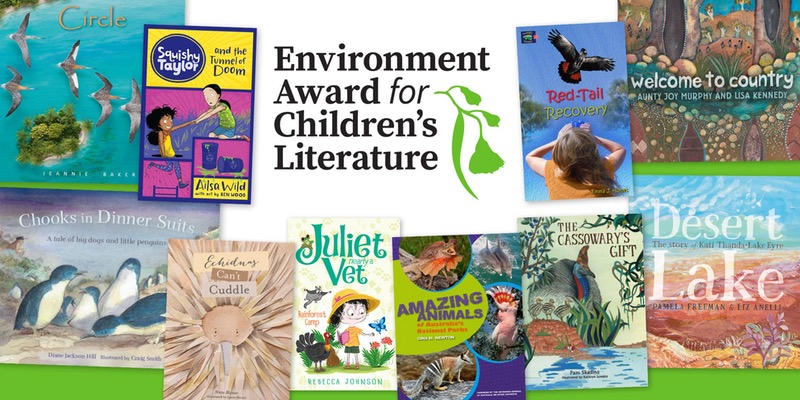 Gina is thrilled and honoured to receive the CBCA 2017 Eve Pownall award for children’s information books with Amazing Animals of Australia’s National Parks. It’s a dream come true for her. 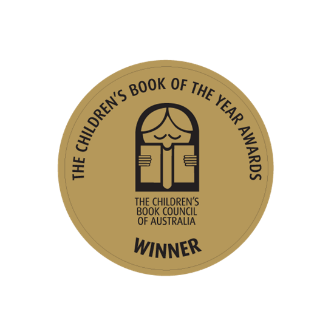 A big thanks to the publishing team at the National Library of Australia and all the generous animal experts who helped her my work for the book and donated photographs. She had the best day on 18th August 2017 at the award ceremony at Government House in Hobart, and then at the celebratory dinner in the evening on the waterfront. 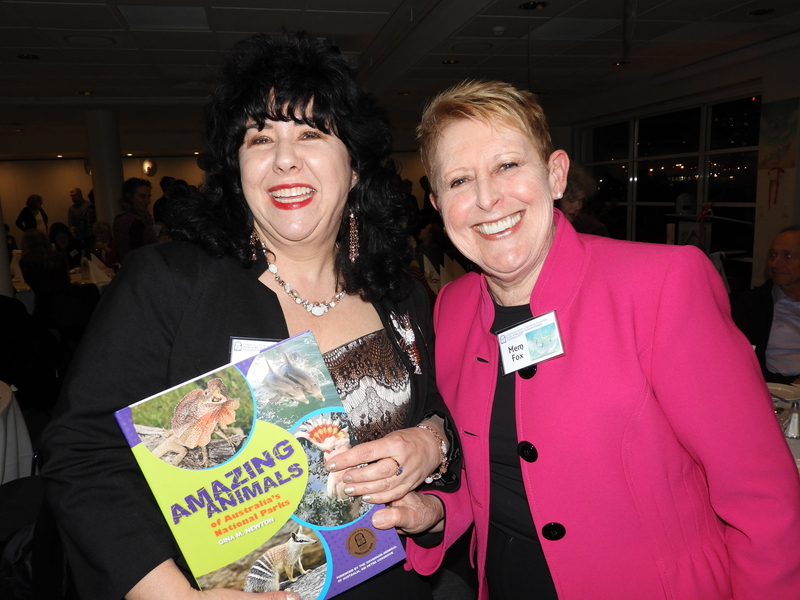 She even got to meet one of her all-time legends, Mem Fox – Blossom Possum meets Possum Magic! 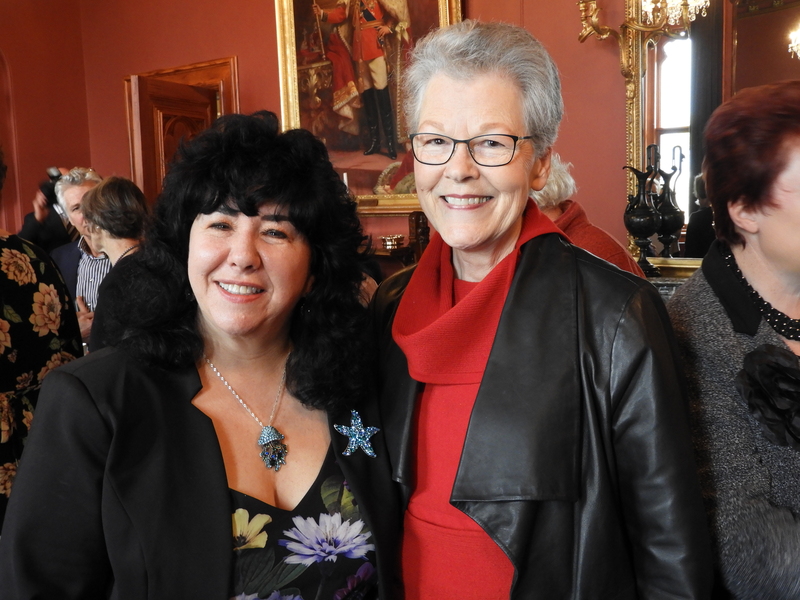 It was also great to have her long-time mentor there, Belle Alderman. 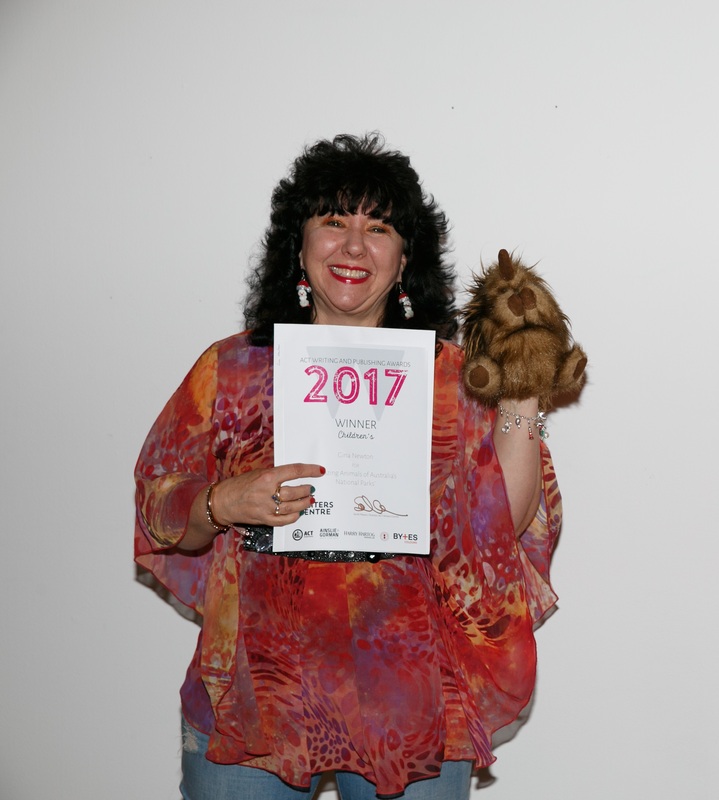 The Whitley Awards for books published on the fauna of Australasia during 2016/17 were presented at a ceremony at the Australian Museum, Sydney on 4th October 2017. What a highlight receiving this award under a giant whale skeleton, for Amazing Animals of Australia’s National Parks. 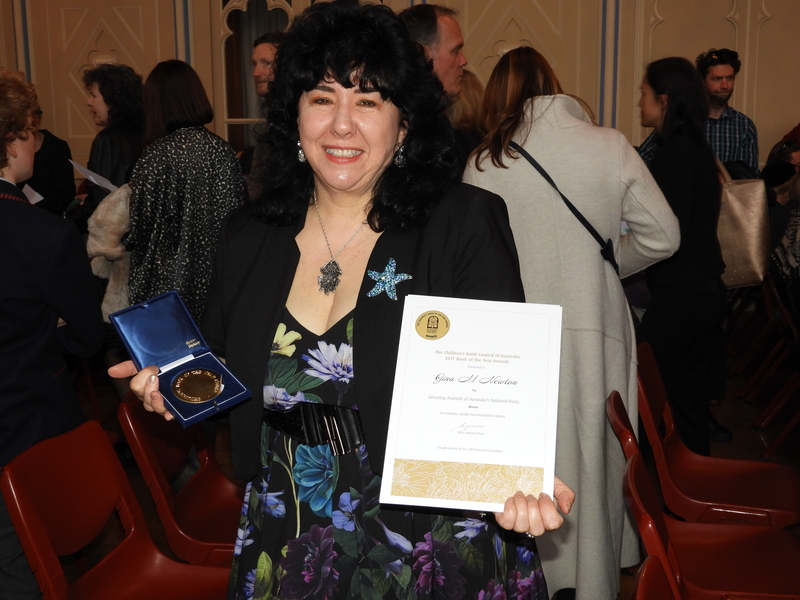 Such a great accolade from Gina’s scientific peers and lovely to have her two kids there with her. What a way to end the year, her third award for Amazing Animals of Australia’s National Parks. 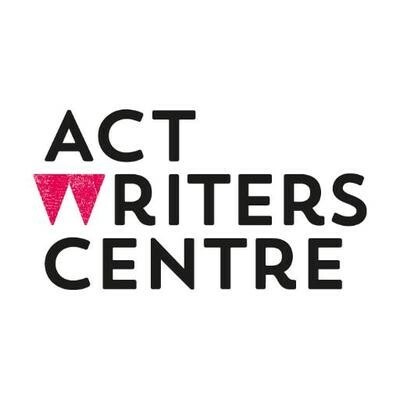 She is proud to have received the ACT Writing and Publishing Children’s Book 2017 Award in her home town of Canberra. It’s so heartening to know that Aussie Wildlife are still captivating the crowd! 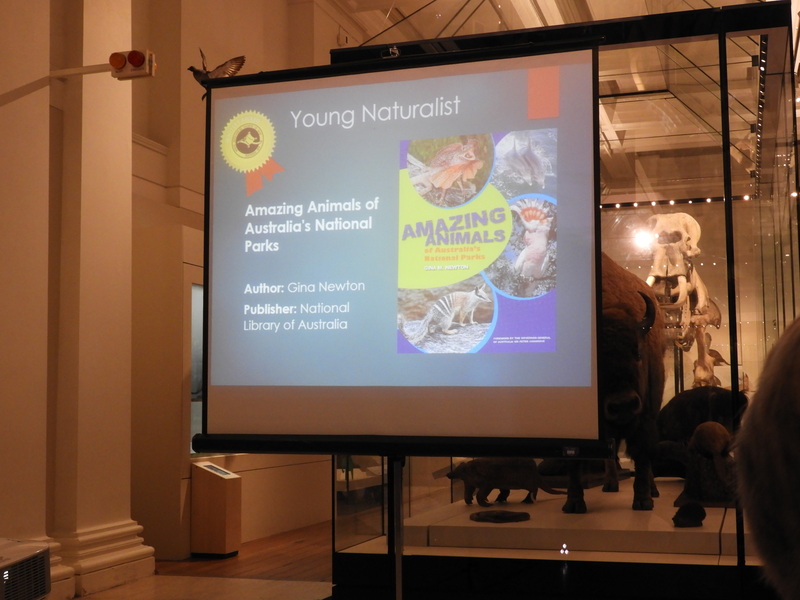 Thanks again to the brilliant team at NLA for helping Gina to make such an amazing kid’s book! Really looking forward to the next one…. 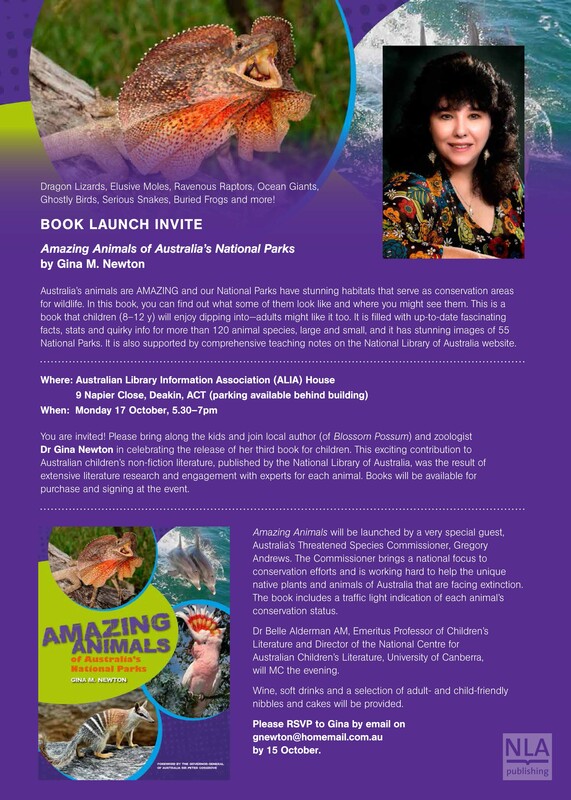 Gina is excited to announce the release of her new book, Amazing Animals of Australia’s National Parks! Please join her at the launch – she would love to see you and your families there! 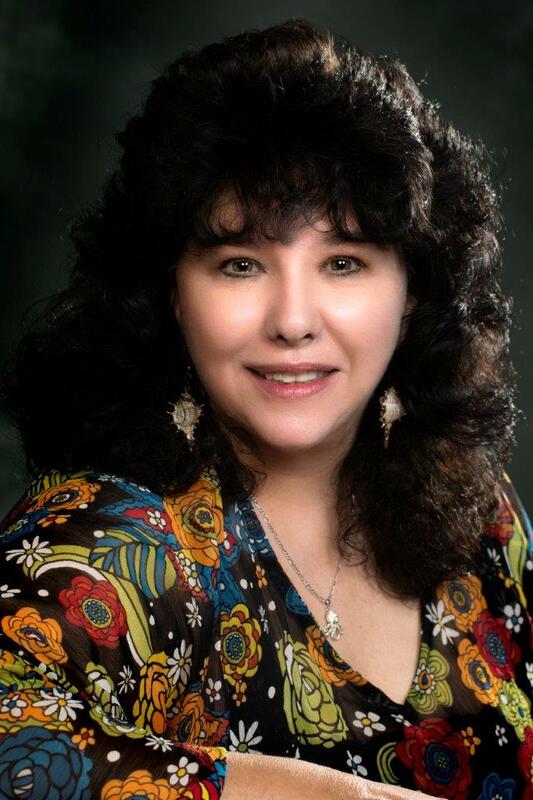 Gina has some exciting things in store and is hoping to announce them here soon!